A newer addition to the Firebrand charcoal range, this product has fierce burning character with very high heat output. 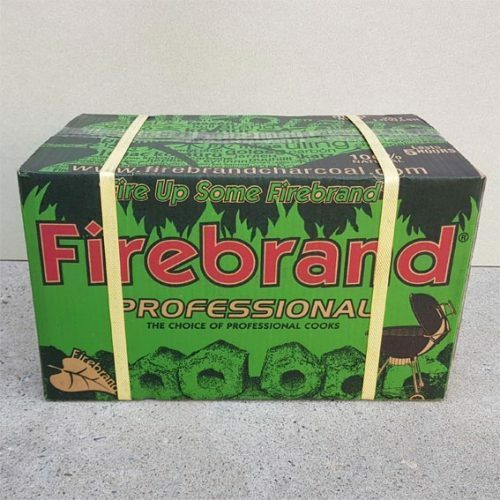 Australia is only the 3rd country to experience the effect of Firebrand Professional Briquette BBQ Charcoal with Japan and Korea being the only other 2 markets where this it was previously available. Produced using a sustainable composition blend of 100% natural hardwood raw material this product does not contain any chemical additives or binders making it suitable for all types of applications. If you are after an all-in-one product with high heat and a long burn then look no further. This is the choice of professional cooks and great for use in robata grills, hibachi’s and all open grills.